A brightly colored map of Africa. 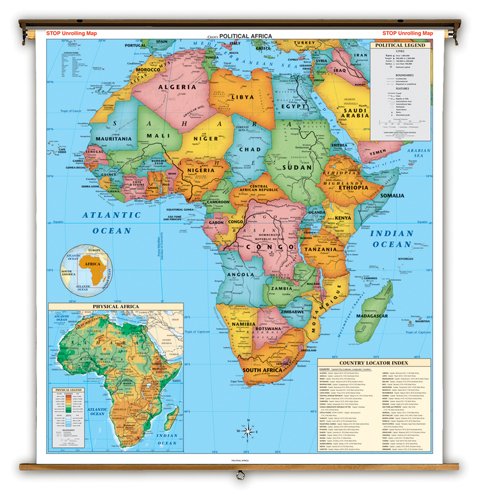 A world locater inset map shows Africa's relative location to its neighbors on a globe. A second inset map shows the country of Australia. 51 inch x 57 inch . Markable. Contrasting colors used to make locating countries easy. Mounted on spring roller with backboard and end brackets.